On a sunny October day, driving from Catania to Cassibile and then through country roads, I reached Monica’s property, Azienda Agricola Jannarossa. As we met, she and I decided to take a walk around the property and talk. Monica started by telling me she had two stories to share, one on her property and one on the Siquillyah association. Monica grew up in Milan and when she was thirteen, her father who had worked in Milan in the import/export business, decided to move the family to Sicily, where he owned land. 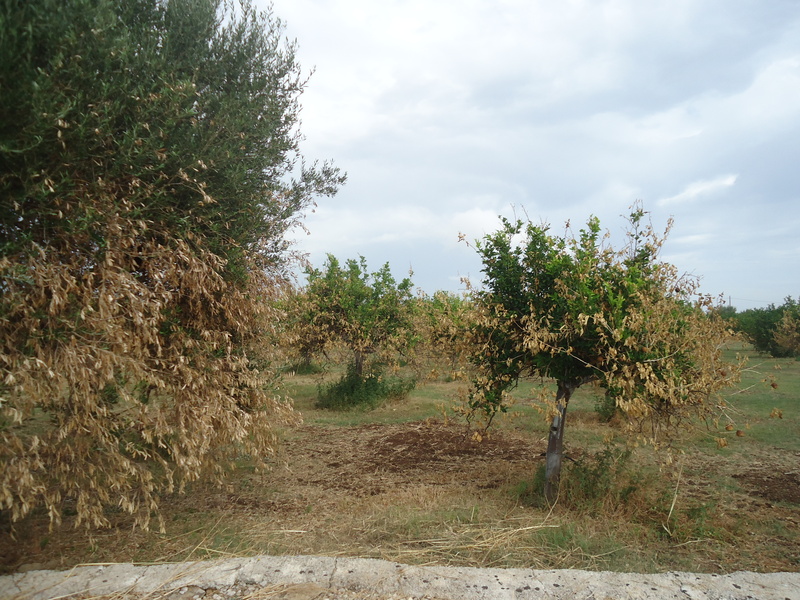 The land was made up of nine hectares of lemon trees, two hectares of orange trees and one hectare of olive trees. 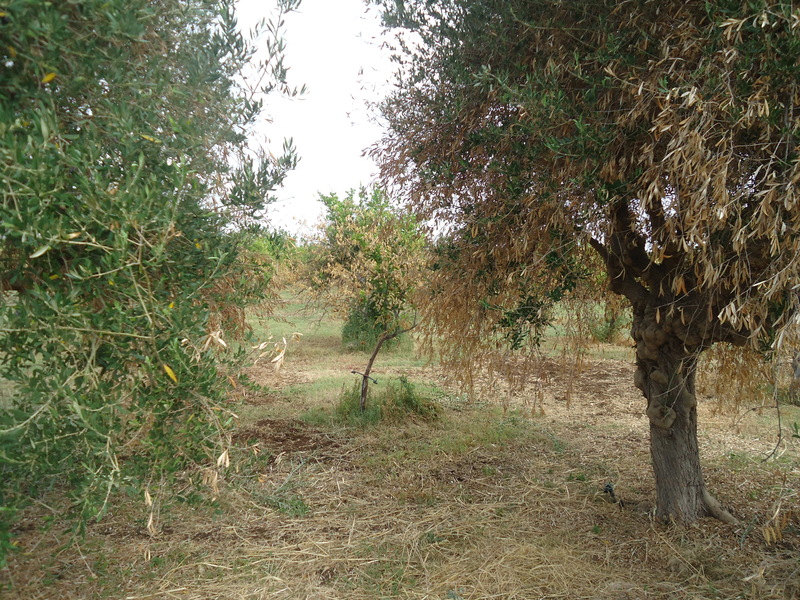 Father started the orchard and olive tree business and mother and Monica helped. Unfortunately, just a short time later, Father passed away and Monica and her mother were left alone. There was no home in Milan to go back to and Mother, in her mid-fifties, could not seek other work, so they had to stay and just take care of the land. It was not an easy task, but as Monica stated, they rolled up their sleeves and got down to work. This was twenty years ago. Recently, Monica has taken over the majority of the work and as she put it, she has made her mother retire. This year, Monica has had to face her greatest challenges. 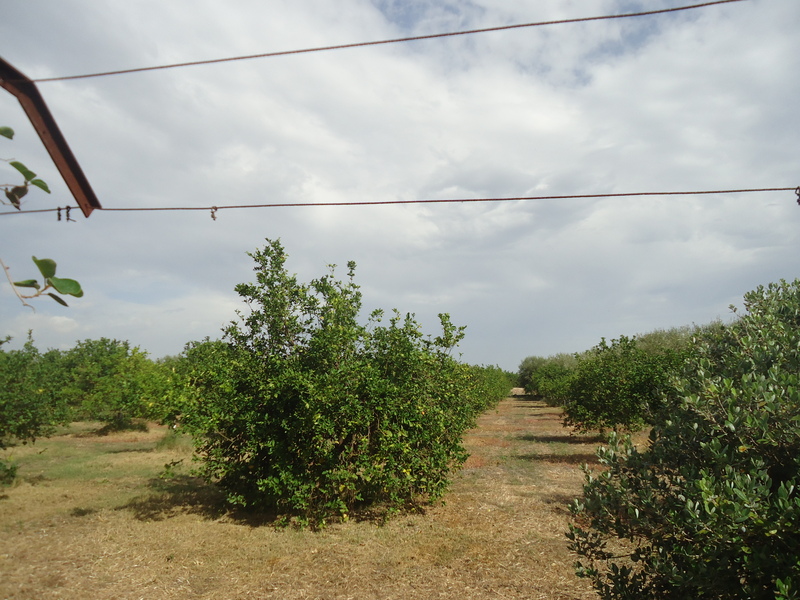 In March, a large hailstorm damaged the blooms on the lemon trees and many of the oranges, causing great damage and the kind from which it usually takes two years to recover. Then, in May, while she was away on a business trip, a devastating fire on her property caused further damage. In one area, out of 1,300 trees, 700 were partially burnt. She was devastated and sent out a call for help to the members of Siquillyah. The response was heartwarming and made her realize she is not alone. Twenty eight people volunteered their time and ran to help. They helped her take precautions to protect the tree bark that had been damaged by covering it with lime and they repaired the watering system. She could resume watering the trees that way. In addition, Monica shared some interesting information about lemons. First of all, she stated that she has established a consortium to protect one type of lemon, the IGP Femminello Siracusano. IGP, Indicazione Geografica Protetta, ensures that the product belongs to a specific geographical area. Furthermore, through IGP certification there is a system of checks and balances to ensure that the production process and quality control follow the proper guidelines. In discussing the beneficial effects of lemons on our health, Monica shared some results of research conducted recently at the Marionegri Research Institute in Bergamo, Italy. In a study conducted with 400 people who had kidney stones, drinking a glass of freshly squeezed lemon juice on an empty stomach caused the stones to dissolve. The results obtained outweighed those reached by taking medication for the problem. Monica shared the beneficial effects of lemons in cleansing the system especially liver and kidneys and lemons’ effect on reducing allergy symptoms. Finally, meeting this young lady was a pleasure and her determination to survive all odds comes through in her demeanor. Certainly, her belief in the positive impact lemons can provide for one’s health is food for thought……..
Ti ho pensata e mi chiedevo come andasse. Ti contattero’ i primi di Settembre.